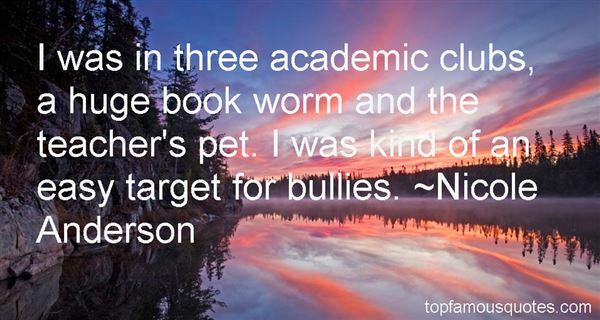 Reading and share top 2 Nicole Anderson famous quotes and sayings. Browse top 2 most favorite famous quotes and sayings by Nicole Anderson. We're seeking — imperfectly at every turn, no doubt — an incarnational theology, a theology that brings radical good news of great joy for all the people, good news that God loves the world and didn't send Jesus to condemn it but to save it, good news that God's wrath is not merely punitive but restorative, good news that the fire of God's holiness is not bent on eternal torment but always works to purify and refine, good news that where sin abounds, grace abounds all the more."